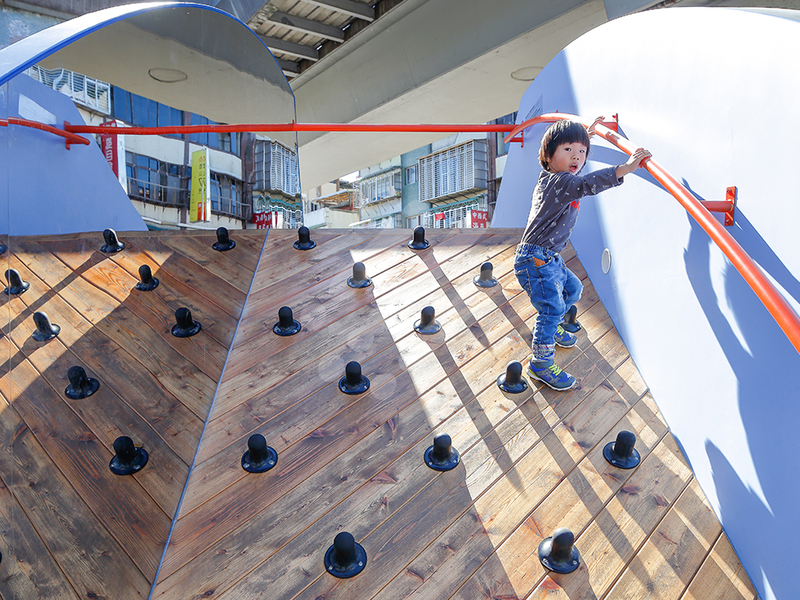 “A gigantic logo hits the ground and the stage of city rises to awaken your body. 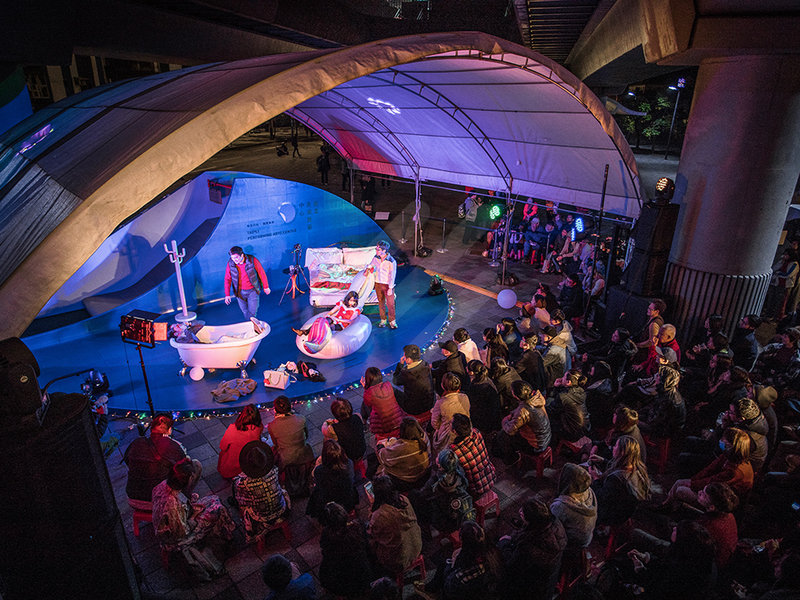 On this stage, collective memories are generated by the interplay of performance art and public participation in this particular space. 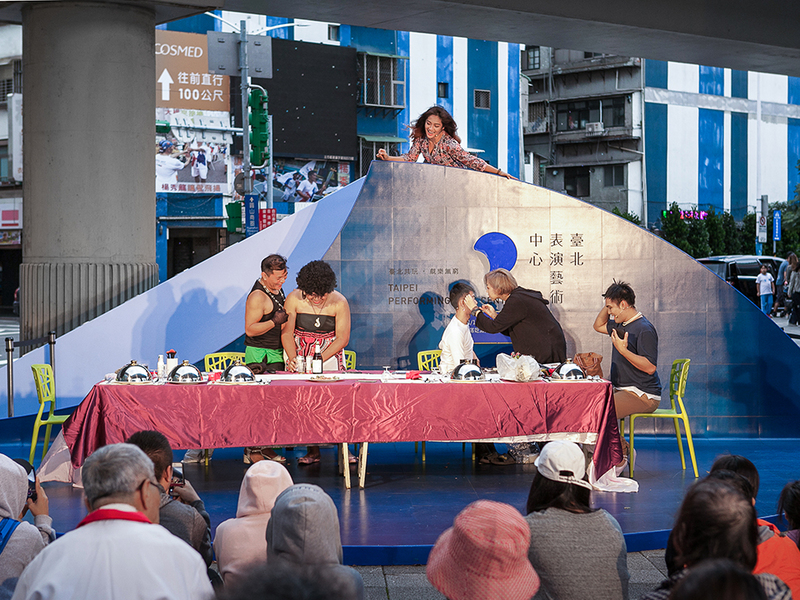 “Play Different Together” is a neighborhood project launched by Taipei Performing Arts Center (TPAC) in which dancers are invited to greet local residents with their performances in different corners of the city, creating opportunities for wonderful artistic encounters between the TPAC and urban residents. 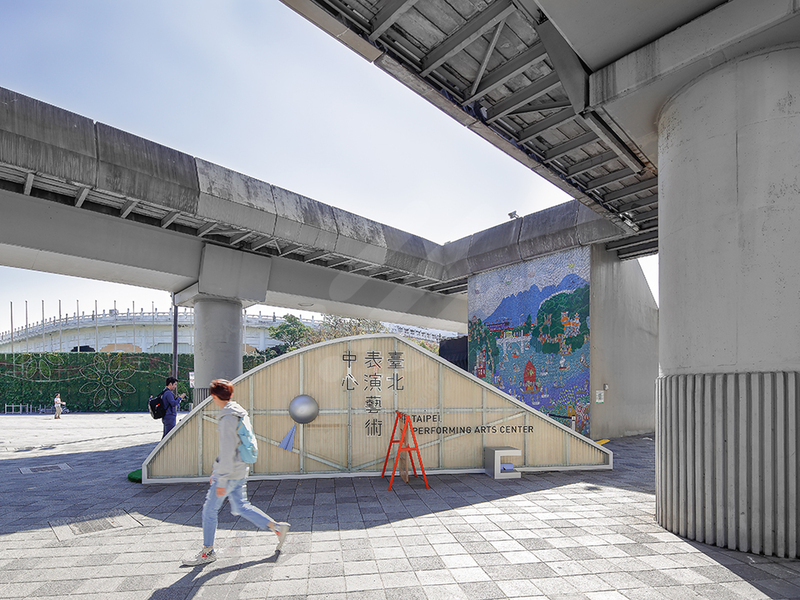 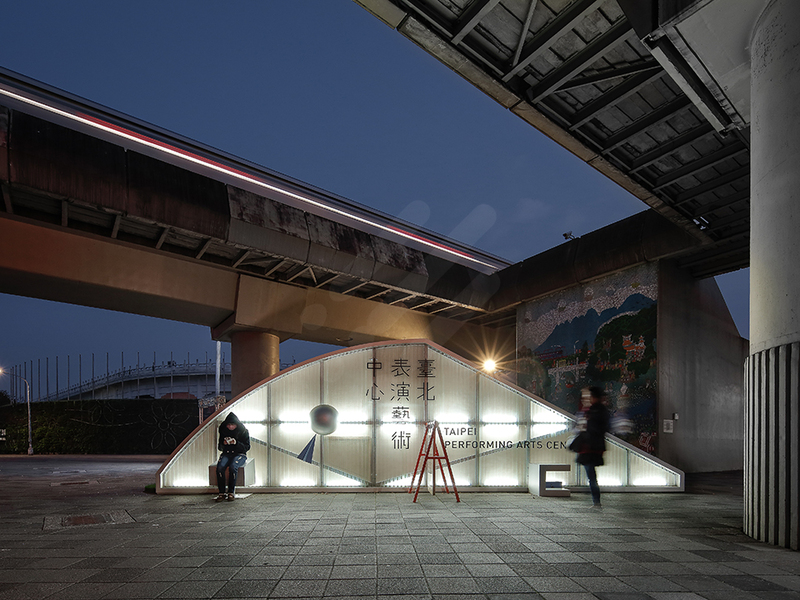 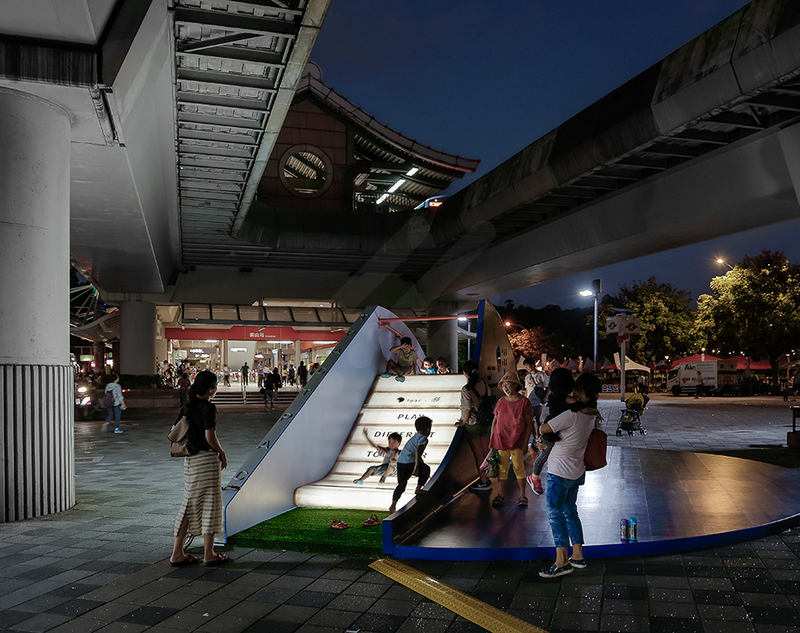 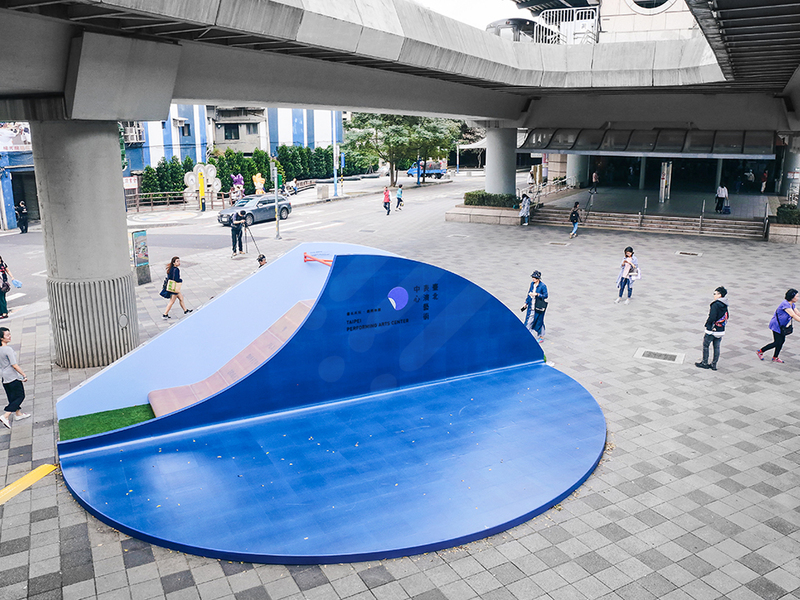 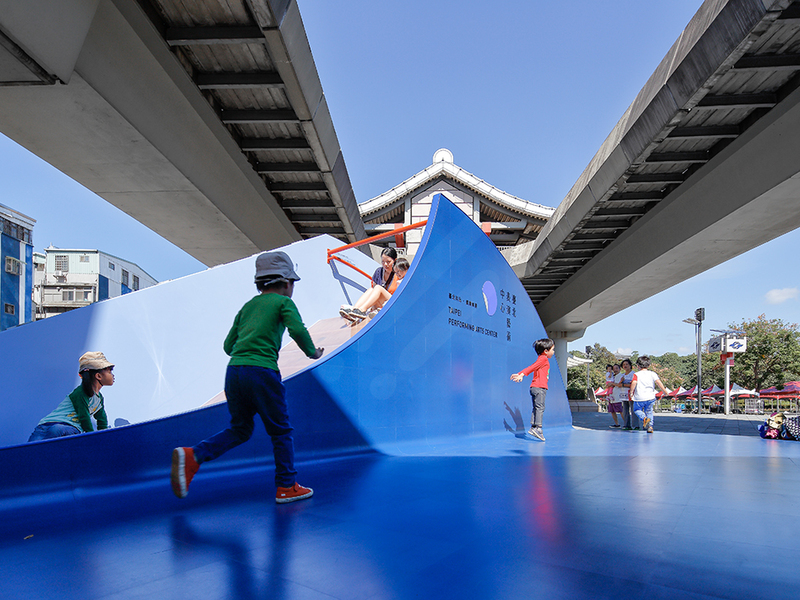 With the design of the stage, the Seedspacelab uses the dynamics of performing arts as the inspiration to create the spirit of Taipei Performing Arts Center’s “Play Different Together” and builds the first somatic recreational facility – the “Sliding Stage” – at the square just outside of the Yuanshan MRT Station. 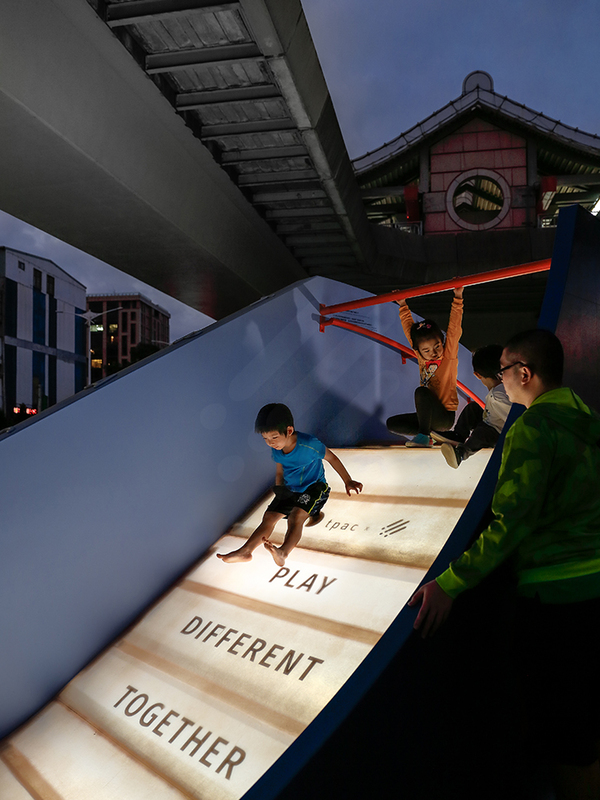 The “Sliding Stage” imitates the dynamic moment when TPAC’s logo falls from above and hits the ground, which is also turned into a city stage that embodies the conversation between the people, the performers, and the TPAC.